There is a reason that timber flooring is quite popular. It adds natural beauty and warmth to any room of the home. Natural wood, when treated and sealed, is capable of holding up in any room of the house including the bathroom or the kitchen. It also increases the value of your home. When you decide to have hardwood or timber floors installed you have two basic choices. You can have a professional contractor do it or you can install them yourself. 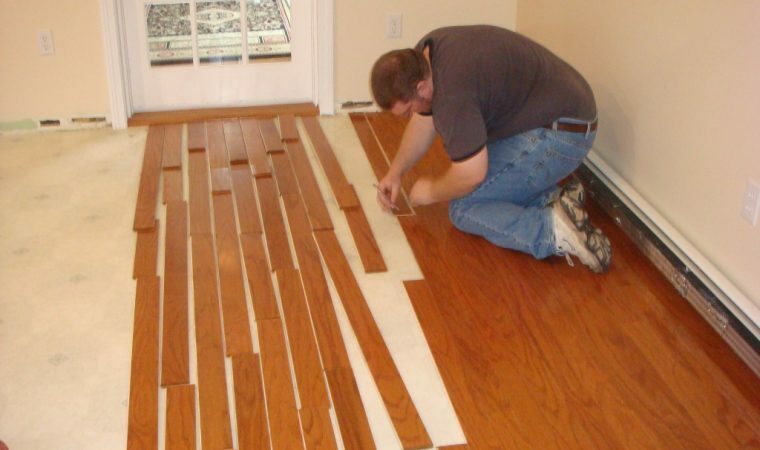 If you have the confidence and patience to learn how to install timber floors you can get the job done well and save thousands on the installation thereby increasing the return on the investment you make on the purchase of the hardwood timber floors. So, here is some information on how to install timber flooring. If you get a better idea of what is involved you can decide for yourself if it is better for you to hire a professional or attempt the work on your own. If you are doing a small room, and one that will not be impacted by moisture or extreme humidity, you can probably get away with the installation without the help of a contractor. Be aware that when hardwood flooring is not treated correctly with sealant can shrink and expand in moisture and humidity. If you are at all in doubt about doing the work yourself, please hire a professional. If you are confident about doing it alone, then here are the basics on how to install timber flooring. Firstly, measure the room precisely. Do this step twice to be on the safe side. Order extra so you have enough flooring to make up for any irregular rooms or mistakes that occur when you go to install the boards. Order the materials for the adhesive and any accessories like scotia or door bars. Go to your local home improvement centre and get a timber flooring kit if this is your first project. This will include all the materials you need to lay the timbers properly. Otherwise, if you order the floorboards individually you need to make sure to order the underlay. Builders paper or felt are good materials for this. If you have any soiled areas, lay down polythene sheeting over these spots. Start laying the boards from the centre of the two walls in the room. Make a chalk line here so you know where to begin. You may wish to remove any skirting before you start with the boards. Start from the easiest wall and lay the boards with the correct nails in the first row. Remaining rows can be fixed using a port-a-nailer. The last three rows should be installed by hand. If you have come across any warped pieces, force them into place with wedges. Use a moisture metre to detect any moisture as needed. For other individual concerns, check with your home improvement centre before beginning the job. You can also find more details about installing timber flooring online.